Children are undoubtedly a blessing and while thousands of couples struggle to conceive babies, some are lucky enough to have child after child. There is such a thing as too much of a good thing, however, and thankfully science can help out with that. While many options of birth control exist, many committed couples choose to undergo permanent surgeries like vasectomies or tubal ligation (getting your tubes tied) which sterilize a person. Since women already do all the hard work of birthing a child, and because a vasectomy is less invasive and can be reversed, it makes sense for couple's who want this option to go with a vasectomy. That procedure involves the cutting and sealing of a man's vas deferens, so that sperm don't make their way out for potential fertilization. Leah and Willie Randall have three amazing children and they made the decision that three was enough. 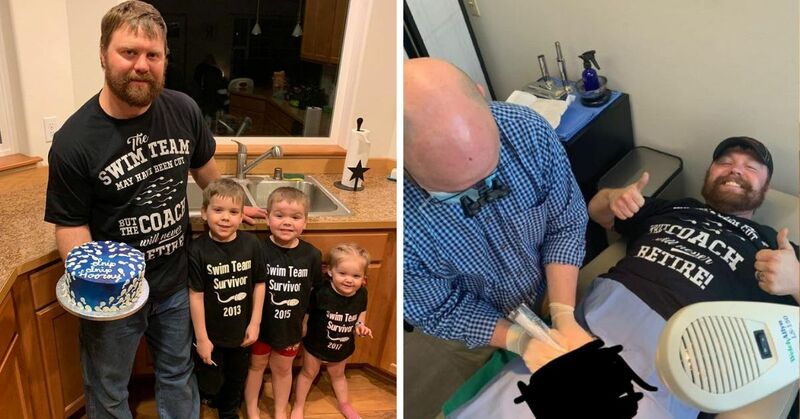 Willie agreed to a vasectomy and the couple had a brilliant idea on how to tell their family. We have some exciting news....! "We have some exciting news," Leah wrote on Facebook, with a spread of hilarious pictures. Willie was seen, apparently enthusiastic, getting his procedure done. The children were decked out in matching shirts labeling them as "swim team survivors." Dad has a shirt too, his reads: "The swim team may have been cut, but the coach will never retire." My personal favorite has to be the cake. The post went viral in a big way, with tens of thousands of shares. Media outlets also took over the hilarious post. After posting it on Facebook, it's now been shared more than 42,000 times! Leah says the decision wasn't a hard one. 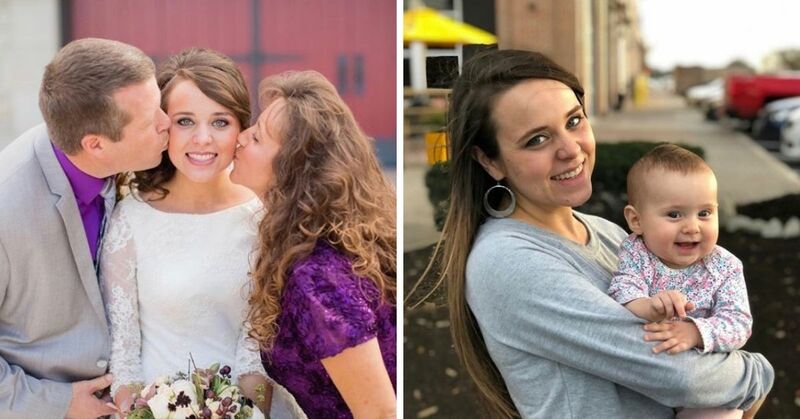 "We have three healthy, amazing, beauitful kids. You can't ask for anything else," she said. Some have asked why she felt the need to share something so private. "Why not be happy that you're done and you're happy about it," she said in response. Your family's complete. Be happy with what you've got."